Today was making a list of what I still have to do, it is long, and then stitching the designs onto the sleeves. These did not take that long to stitch but the looping of the fabric is not that easy. 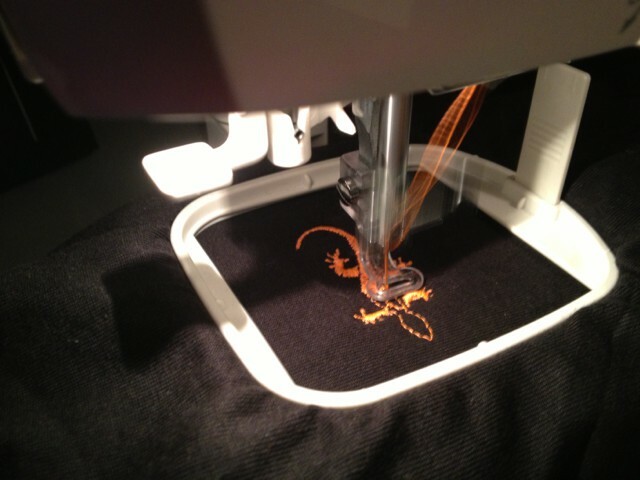 I was very happy with the orange thread for the salamander. It does not look that impressive in this photo but it is a proper fluorescent hi-viz orange colour. 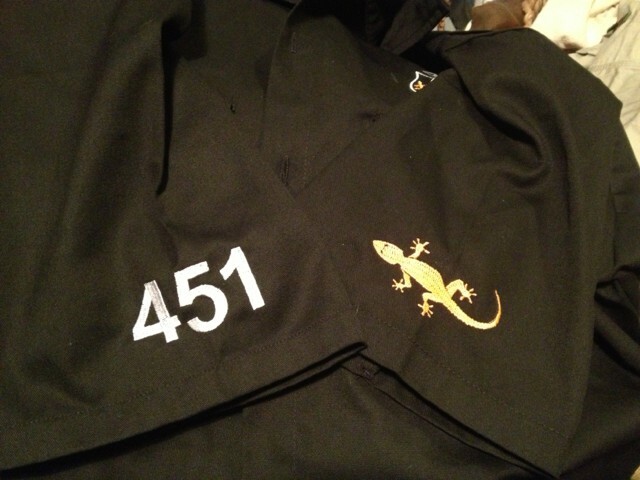 Tomorrow I start the real sewing as I start to make the workshirt from the two sweatshirts I bought.